The umbrella pole is in the way, but the "stream" is a pondless waterfall in our backyard. 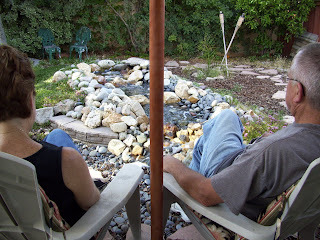 I made this myself, and we love to sit in the backyard to listen and watch the water flow. It's truly relaxing.